A thousand-storey tower stretching into the sky. A glittering vision of the future, where anything is possible - if you want it enough. A hundred years in the future, New York's elite of the super-tower lie, backstab and betray each other to find their place at the top of the world. Everyone wants something... and everyone has something to lose. As the privileged inhabitants of the upper floors recklessly navigate the successes and pitfalls of the luxury life, forbidden desires are indulged and carefree lives teeter on the brink of catastrophe. Whilst lower-floor workers are tempted by a world - and unexpected romance - dangling just out of reach. 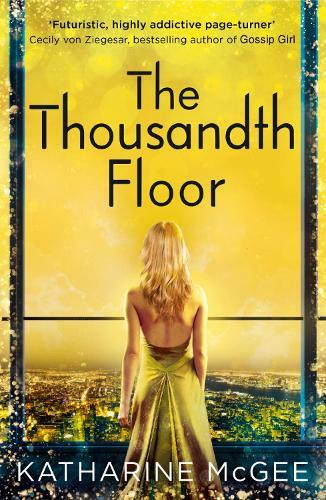 And on the thousandth floor is Avery Fuller, the girl genetically designed to be perfect. The girl who seems to have it all - yet is tormented by the one thing she can never have. I received a reading copy of this book in exchange for a review.